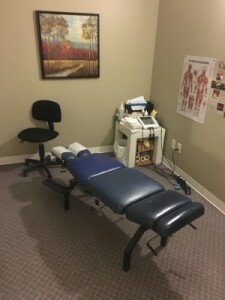 Physical therapy at Action Chiropractic & Massage Therapy Clinic assists those recovering from surgery or injury, helping to restore your health. Specific exercises, performed with our physical therapist, AJ, can be what your body needs to heal completely. Rather than having to send you to another facility, physical therapy is available at Action Chiropractic & Massage Therapy Clinic. We can also organize treatment between any of your health care providers at our practice, ensuring your case is effectively comanaged. We can coordinate your visits, as well, and may recommend treatment on separate days to gauge how you’re responding to each form of therapy. Schedule your physical therapy appointment today! Same-day visits are available.